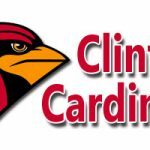 the district will be sharing the exciting new developments for Clinton High School next school year. The reception will be held from 4-5pm in the Clinton Rotary Building. towns can pursue their dreams. including Dave Steward, who is a proud alum of Clinton High School. The district is delighted that Mr.
career advisor, as well as access to scholarships and other unique opportunities. in the Clinton School District.